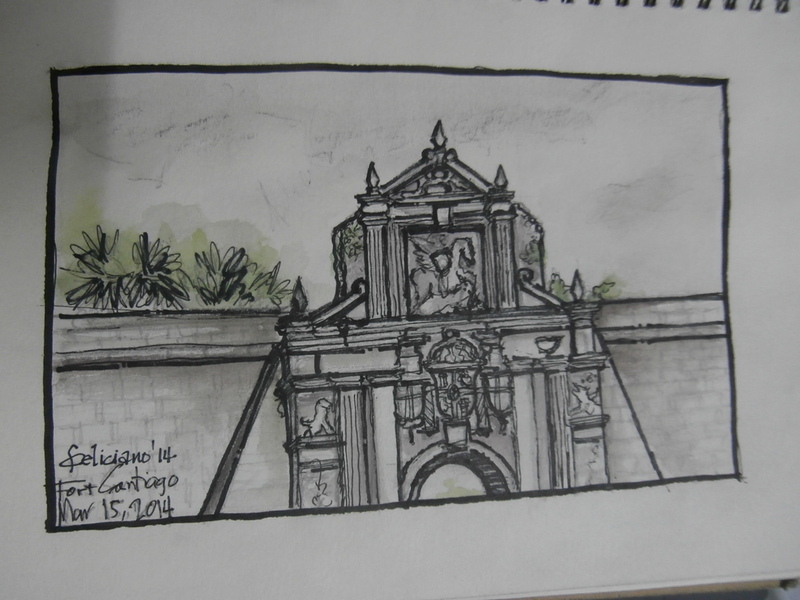 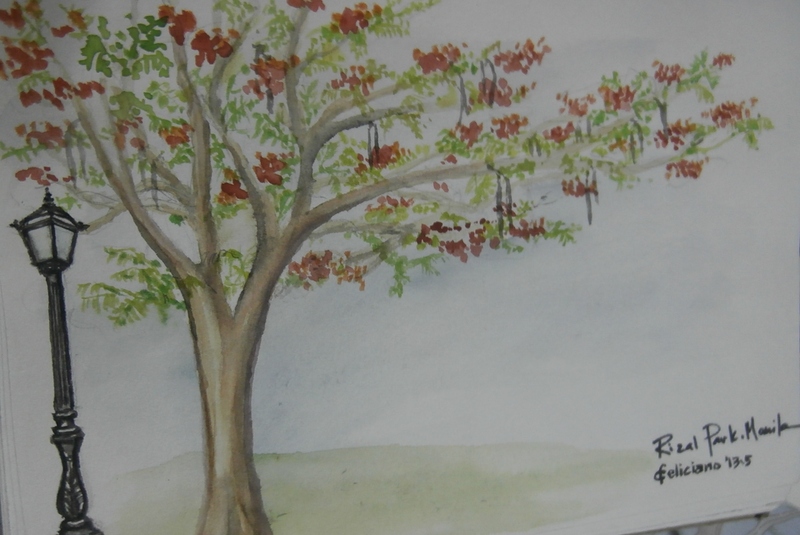 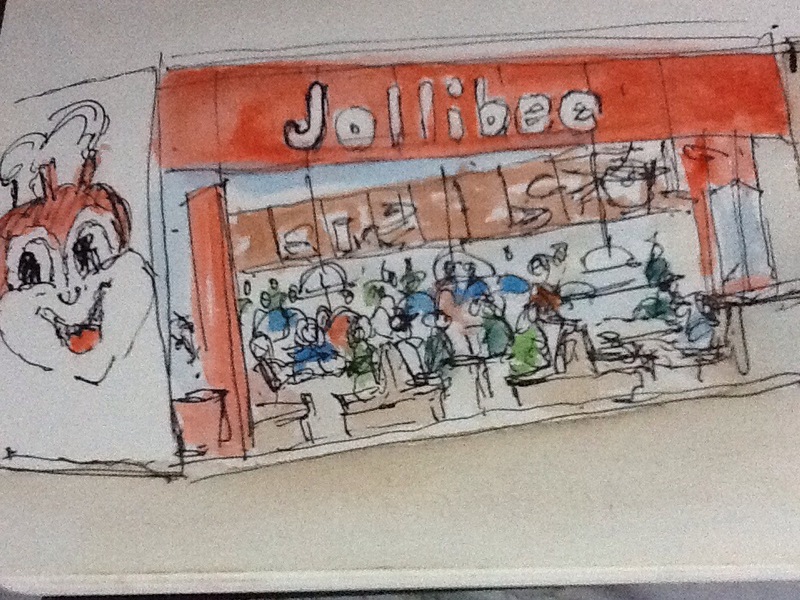 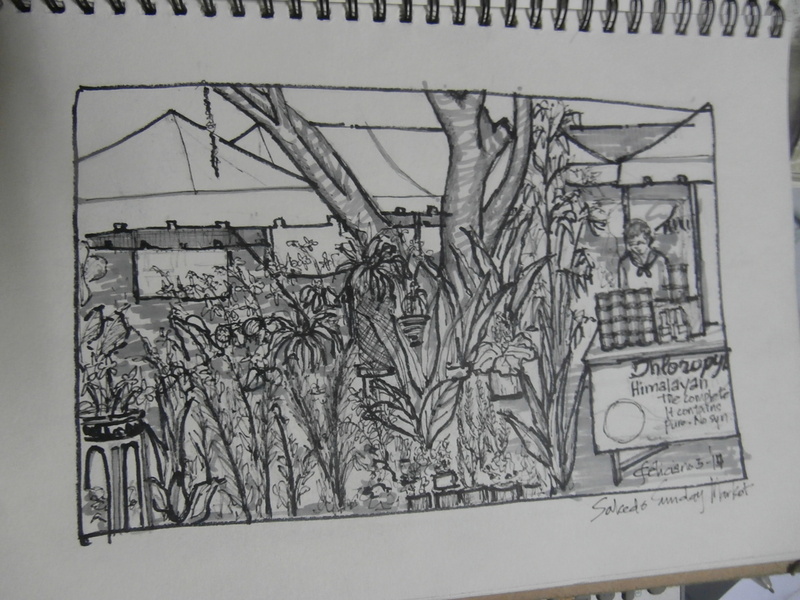 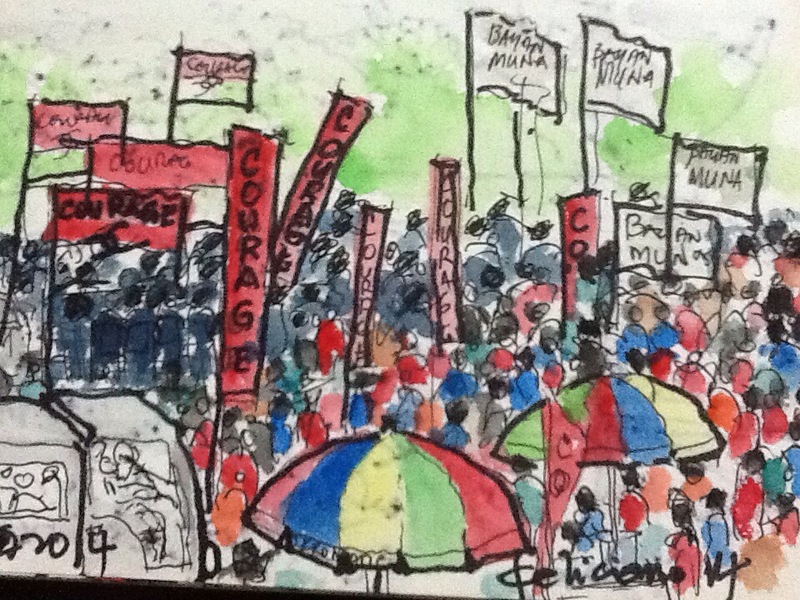 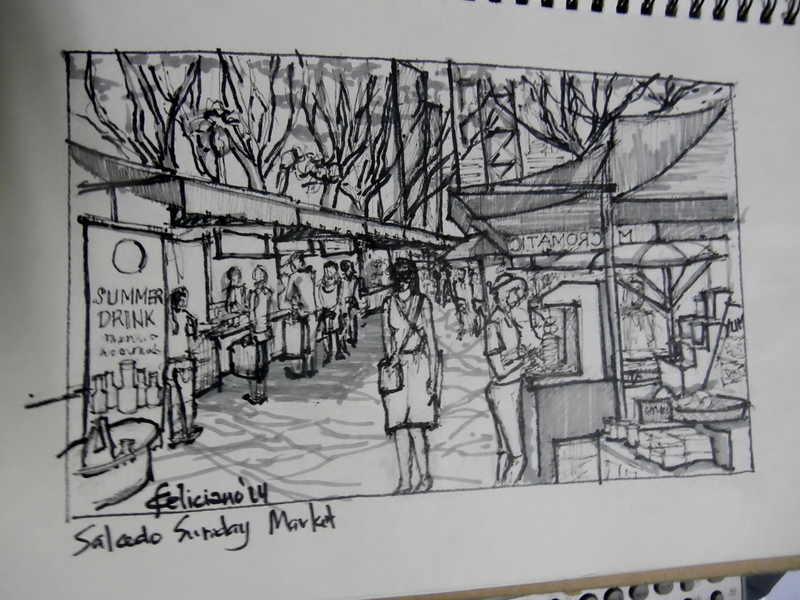 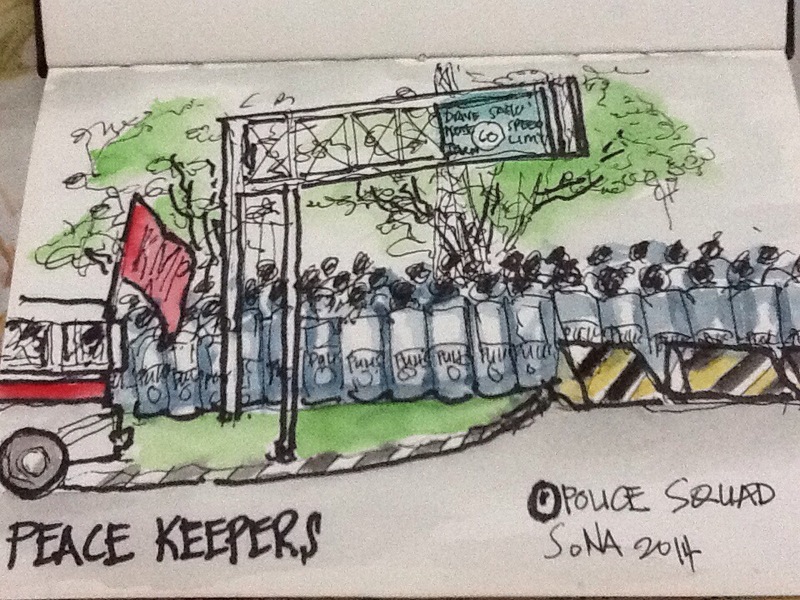 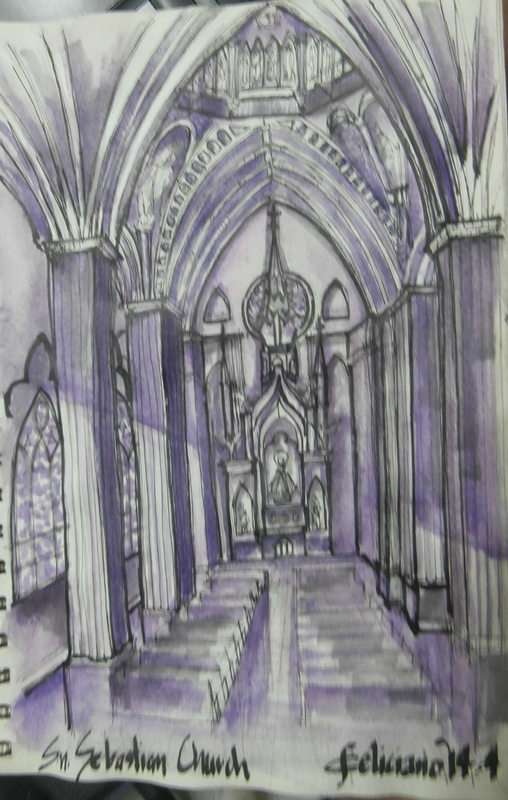 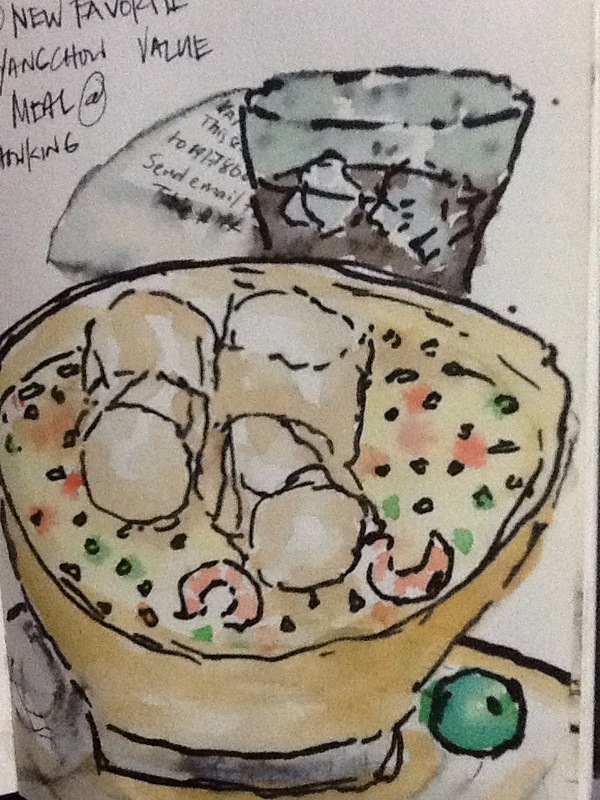 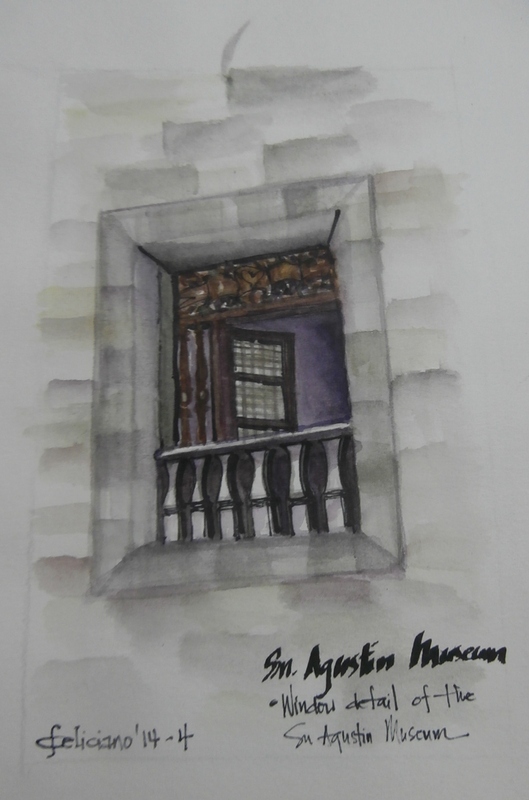 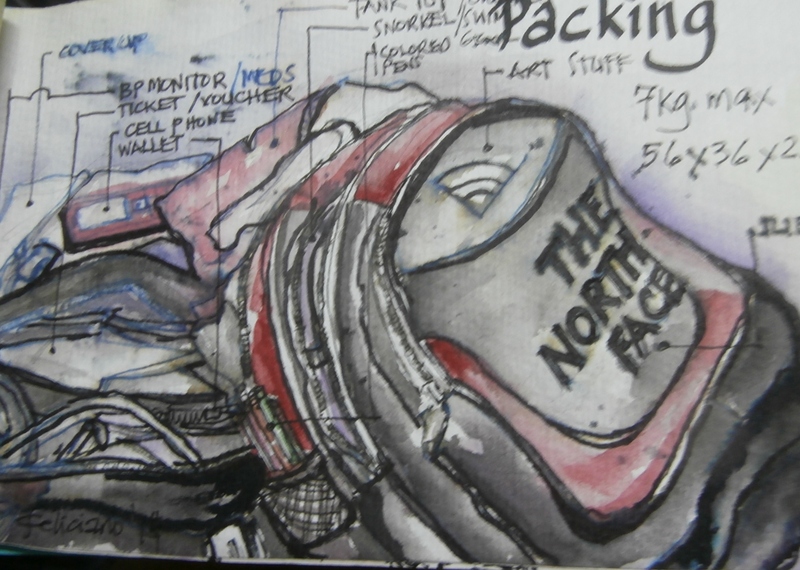 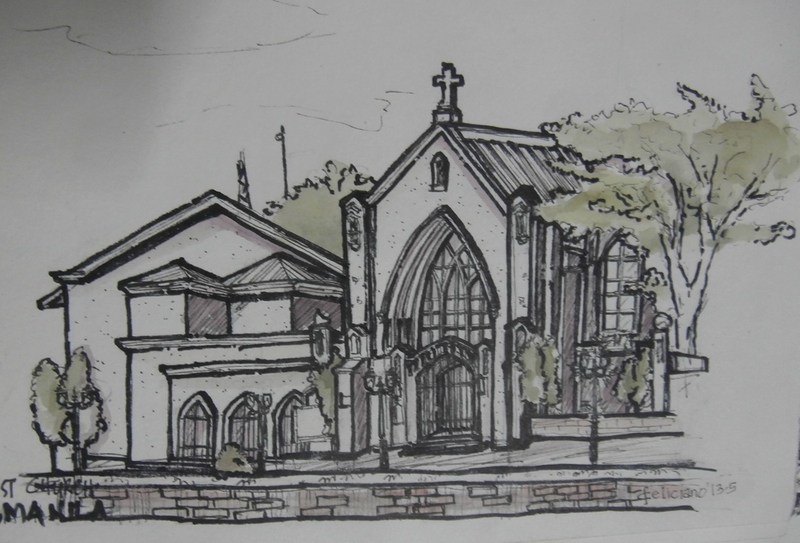 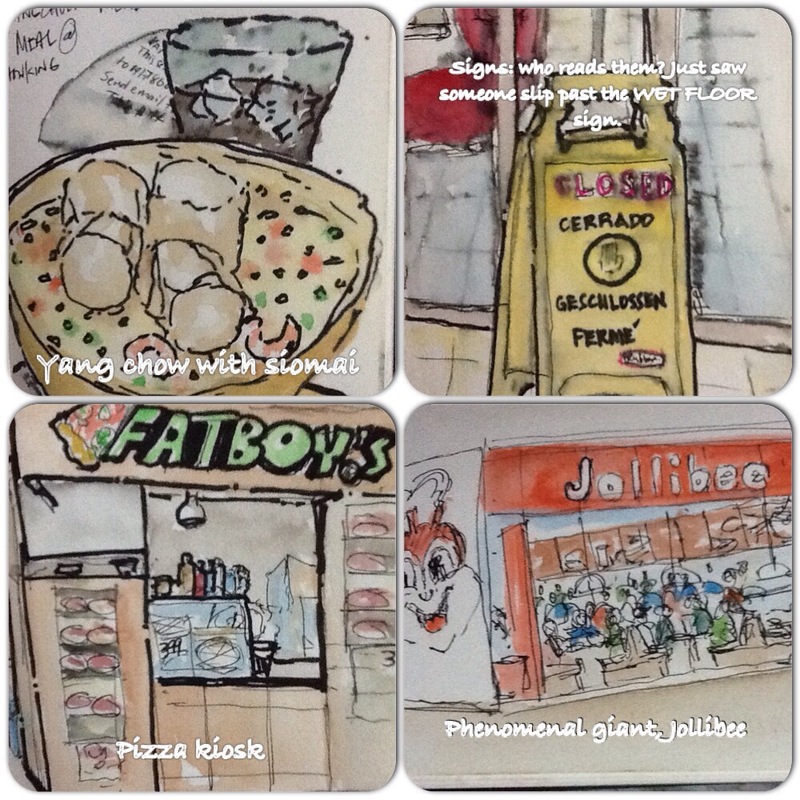 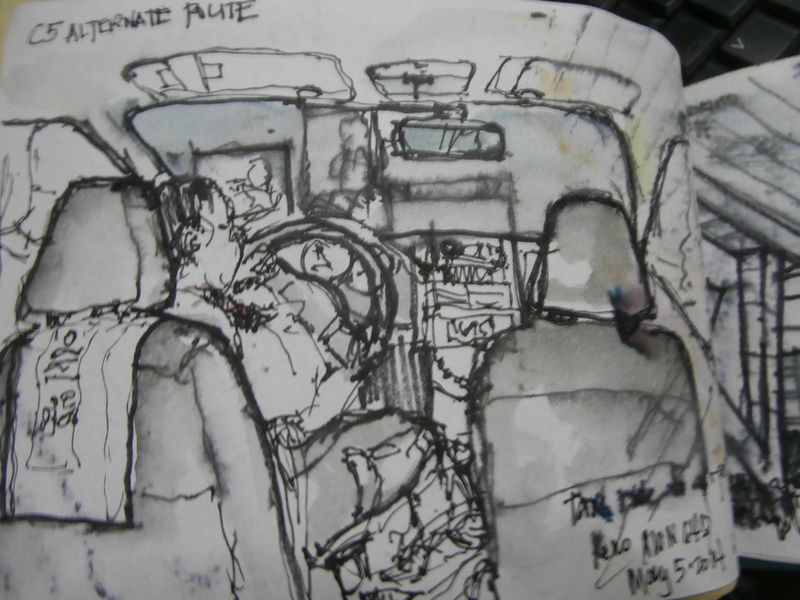 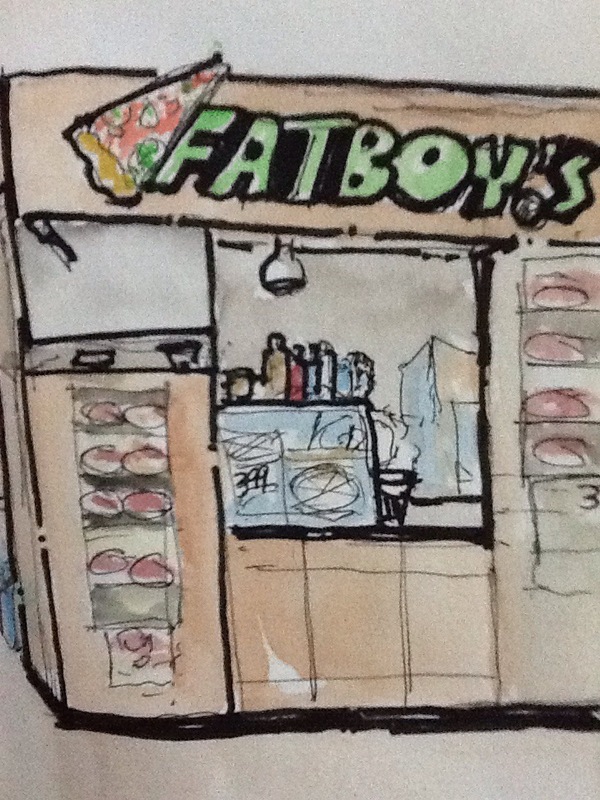 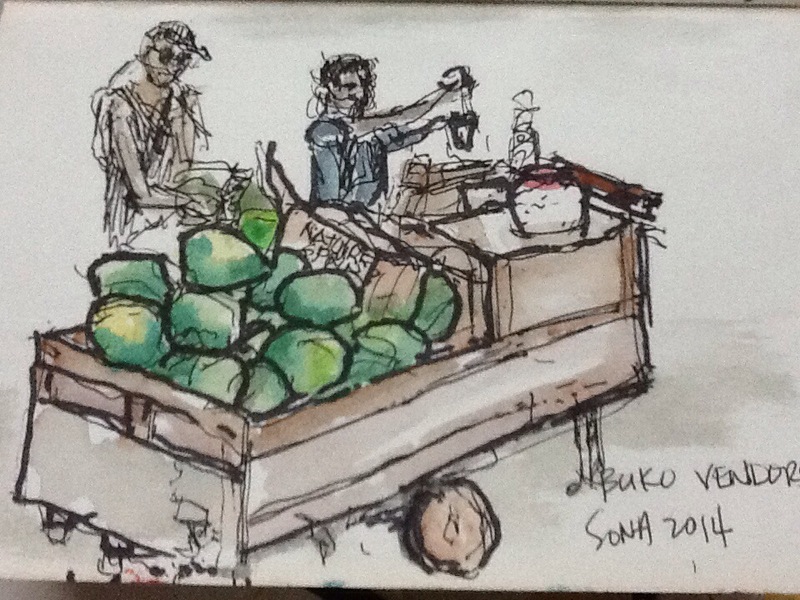 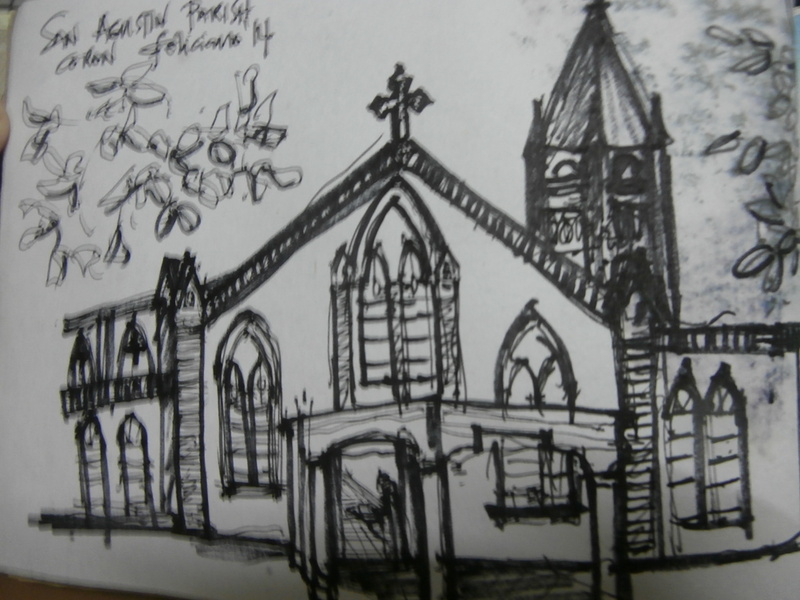 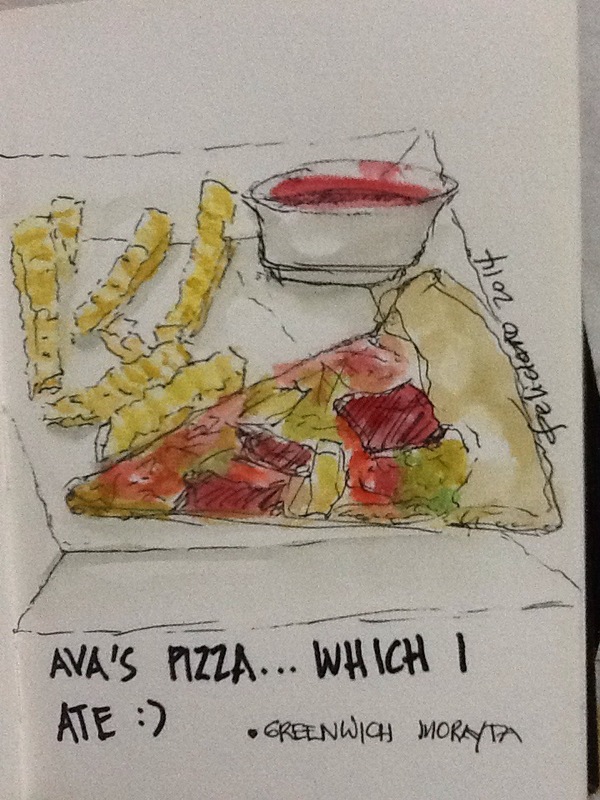 The Urban Sketchers Philippines Album is a compilation of on-location sketches, paintings I have done to document my everyday life, vacations and sketchwalks with the USk Ph group. 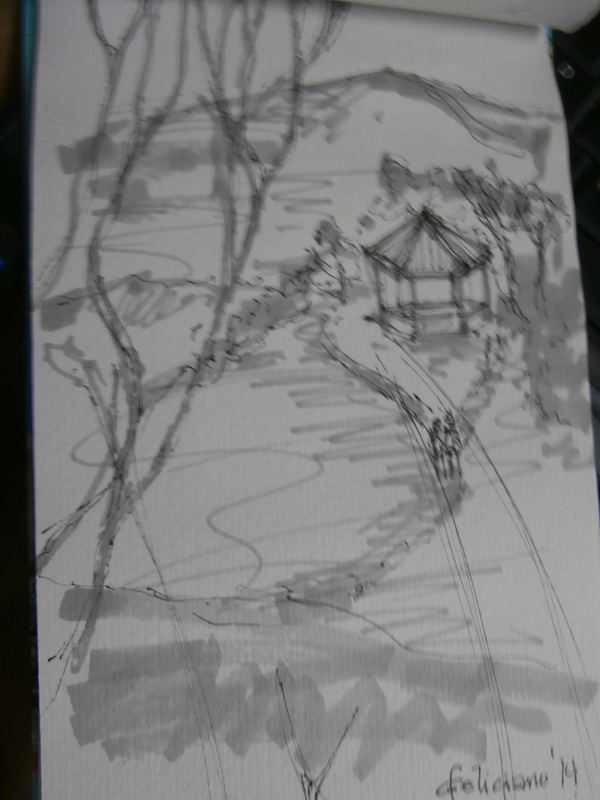 Coron Palawan – A gazebo which can be found close to the peak of Mt. 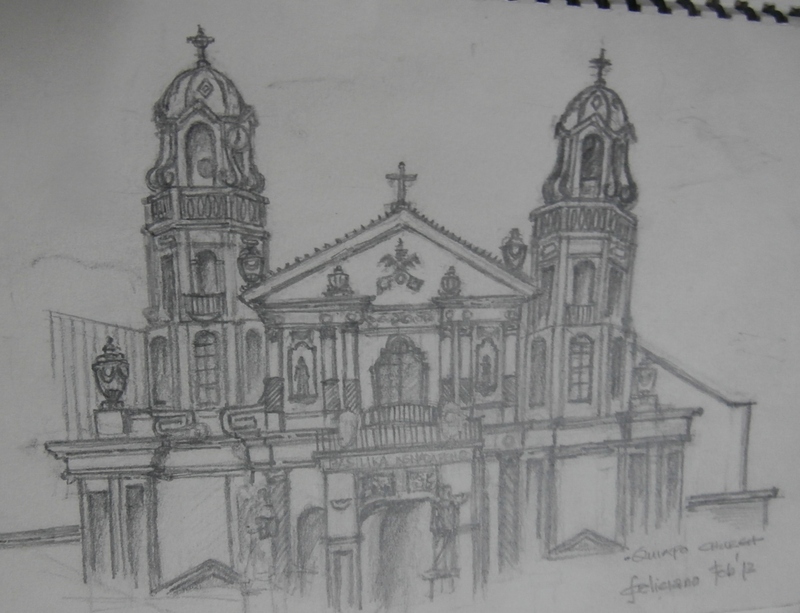 Tapyas. 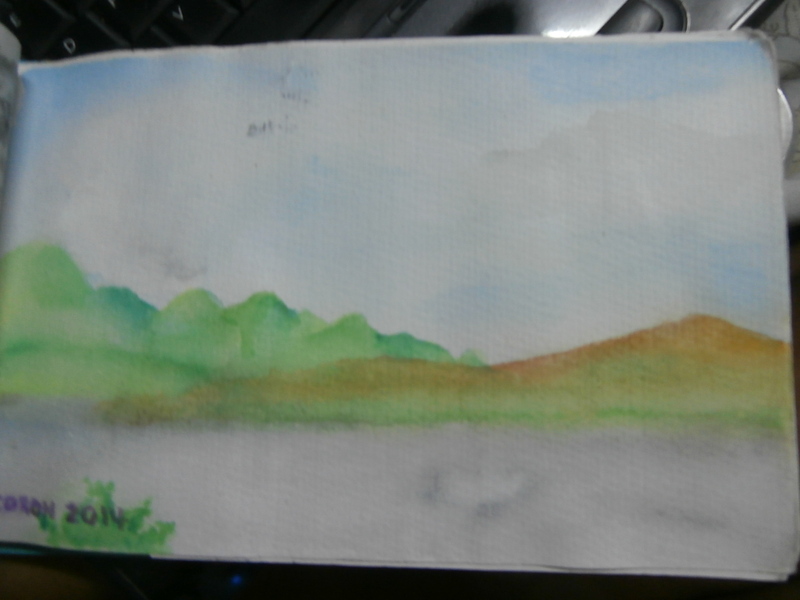 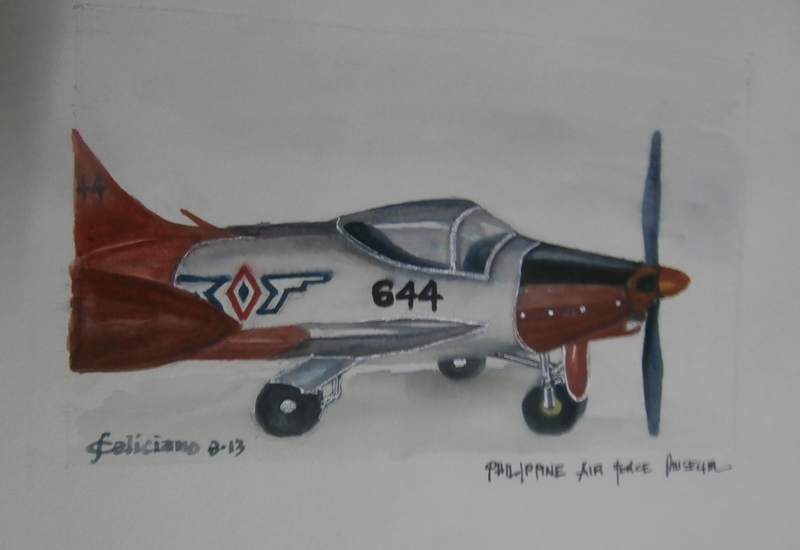 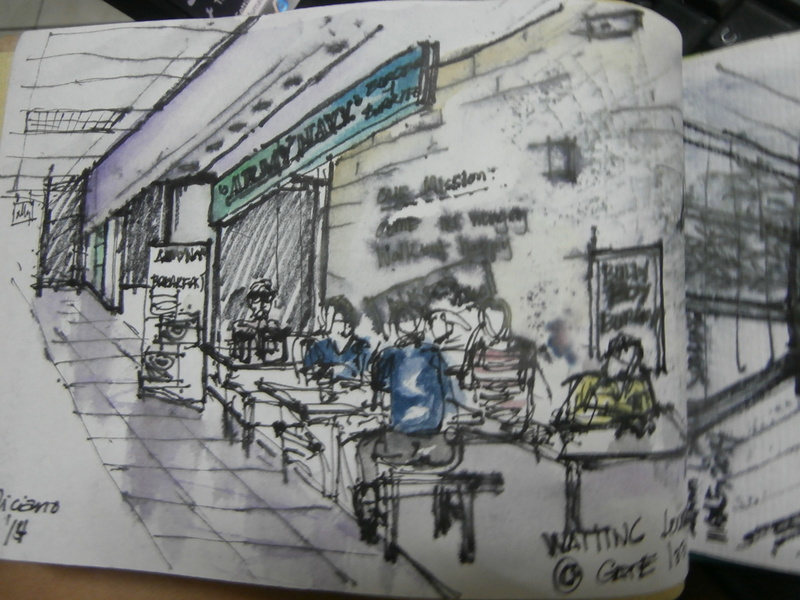 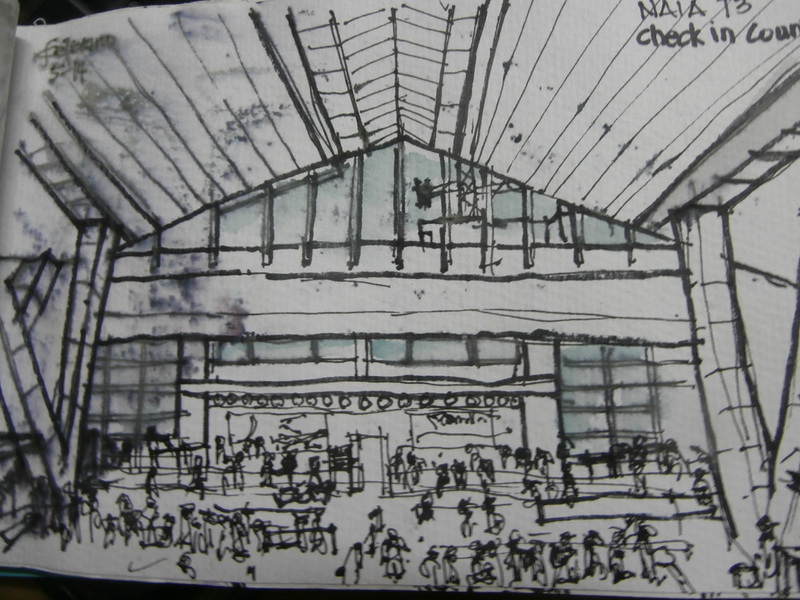 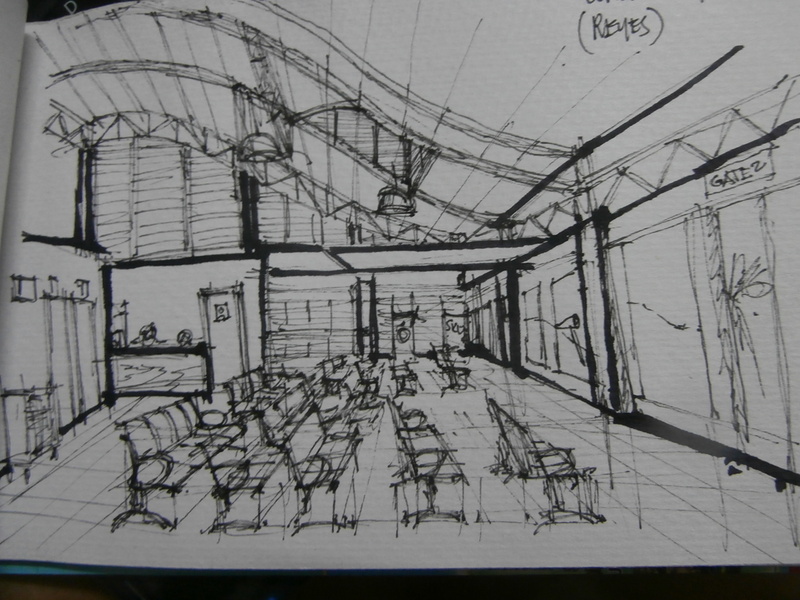 Coron Airport – Had some time sketching the airport due to a 4-hour flight delay. 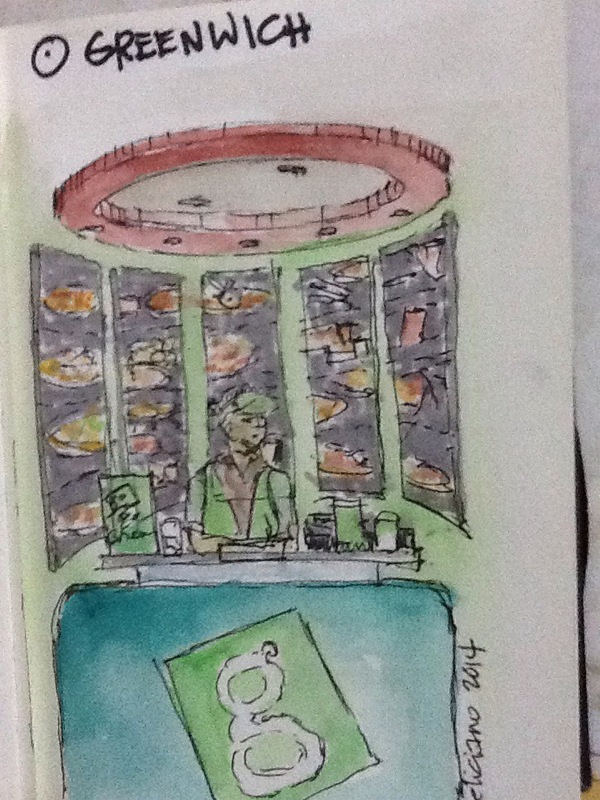 I was kinda hungry and had no food available in airport save instant noodles. 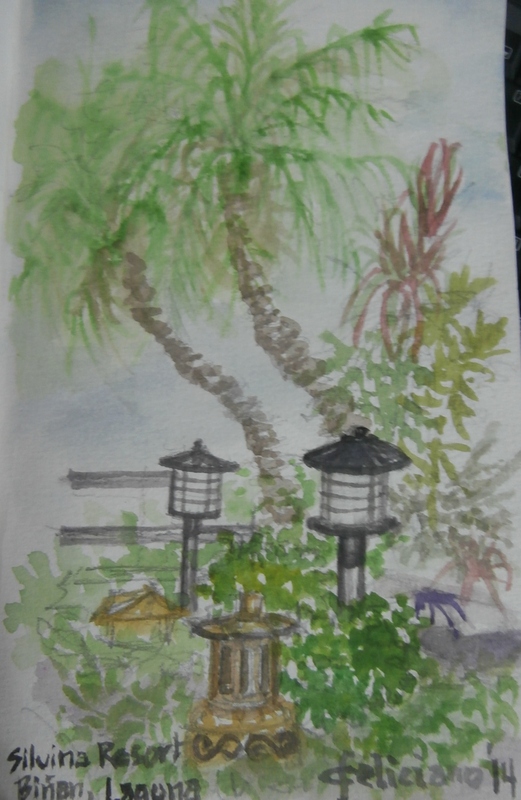 Coron Islands as viewed from the dining area of Coron Paradise Hotel. 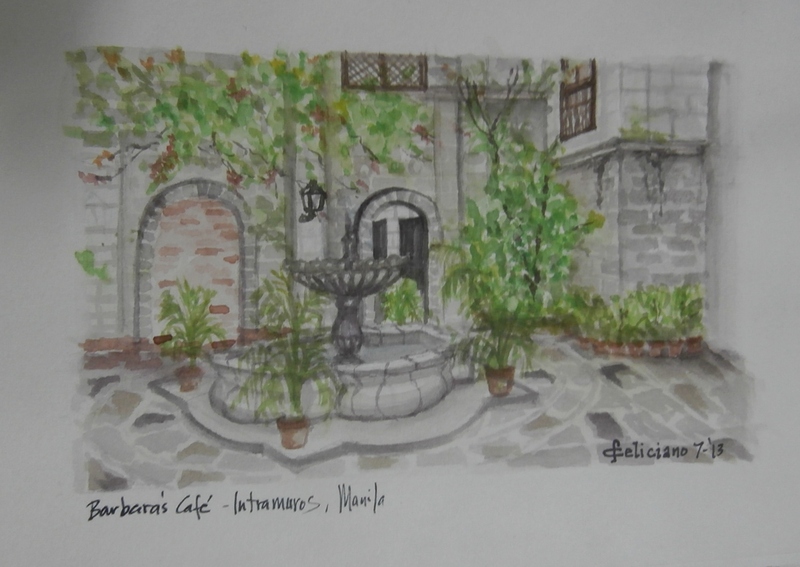 Sinugba sa Balay – a Coron restaurant I went to which had good reviews online. 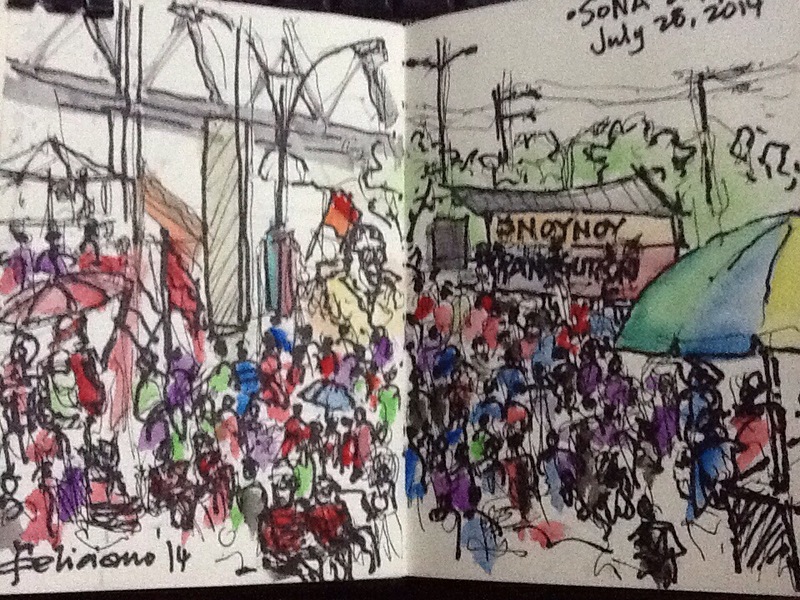 Silvina Binan Resort – pool party to celebrate Pio’s birthday. 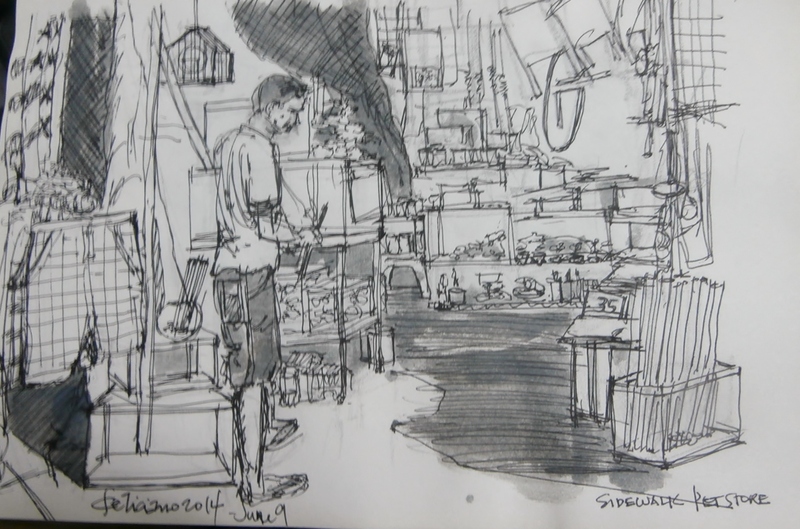 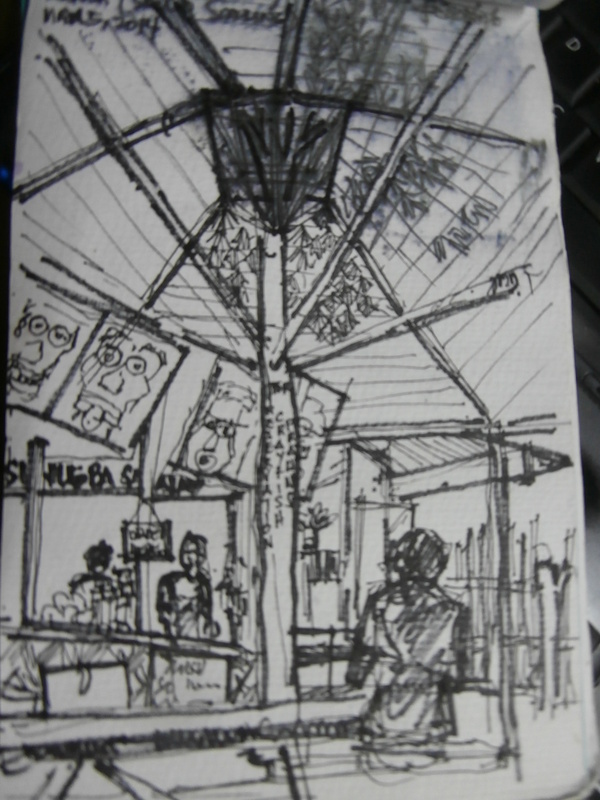 Street Pet Shop – a quick sketch of a tiangge type pet store. 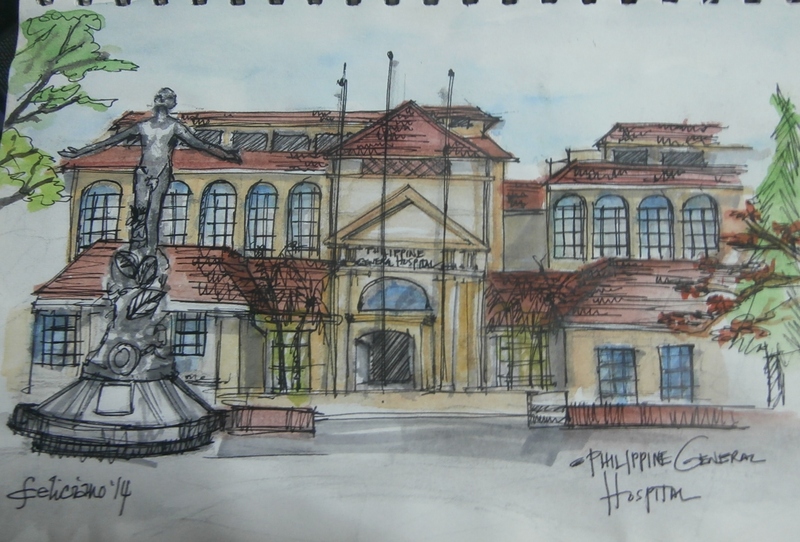 UP PGH – making use of the remainder inspiration from the Amorsolo on the spot session held at PWU. 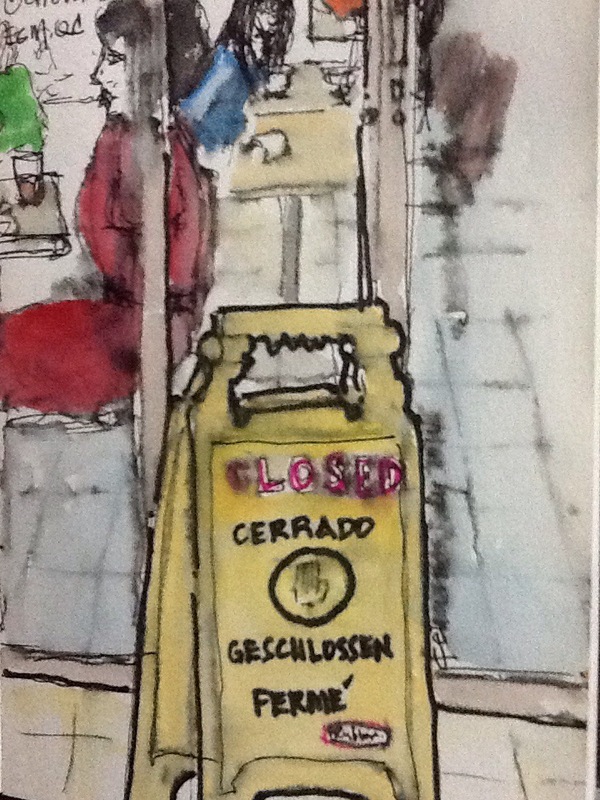 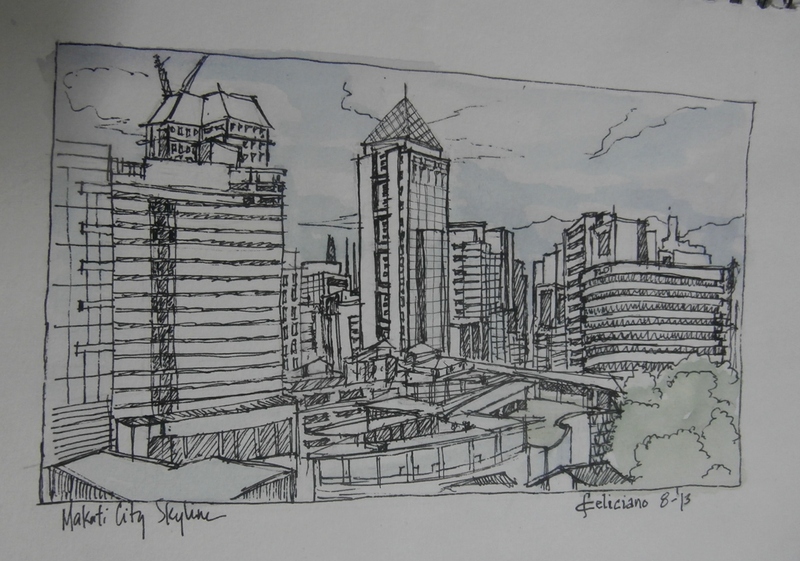 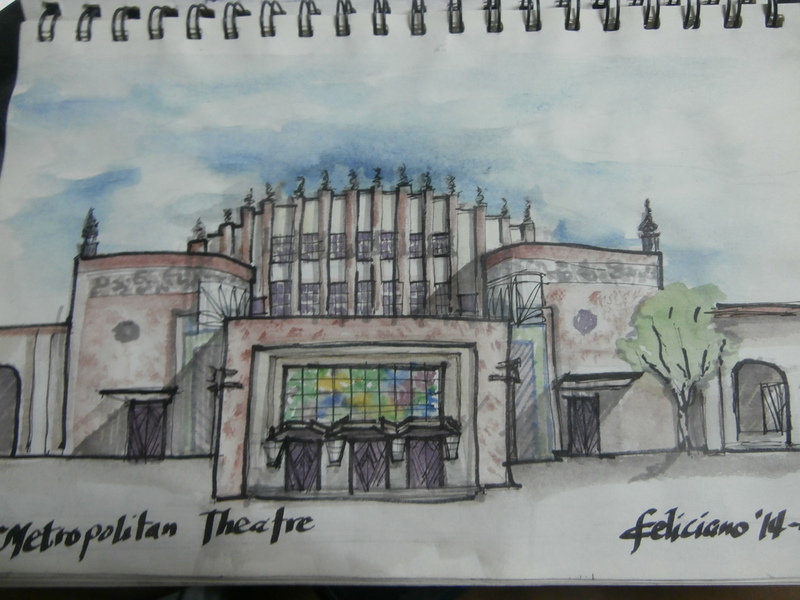 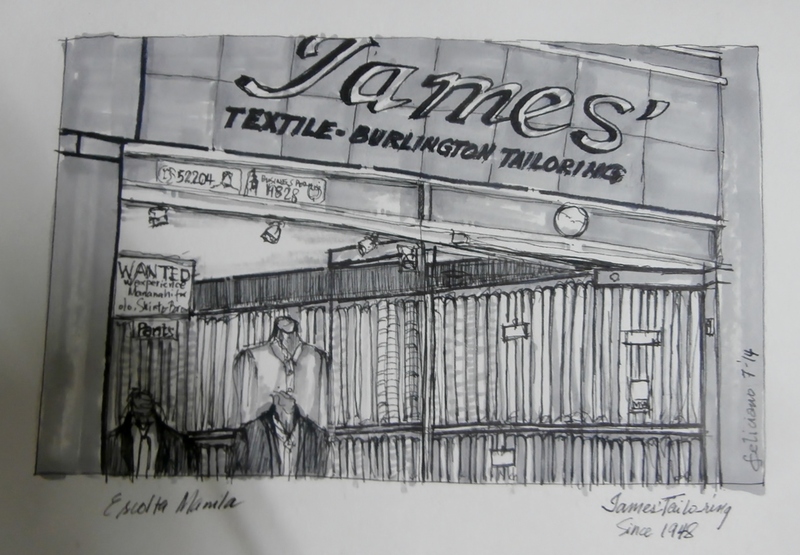 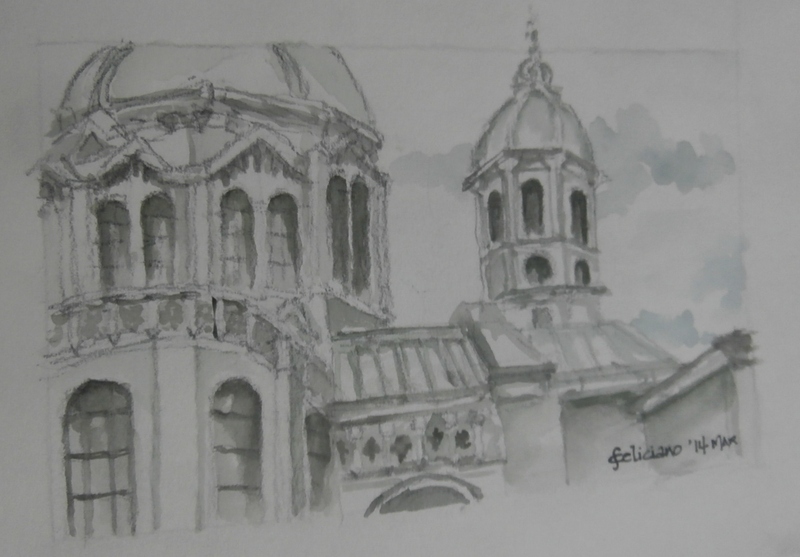 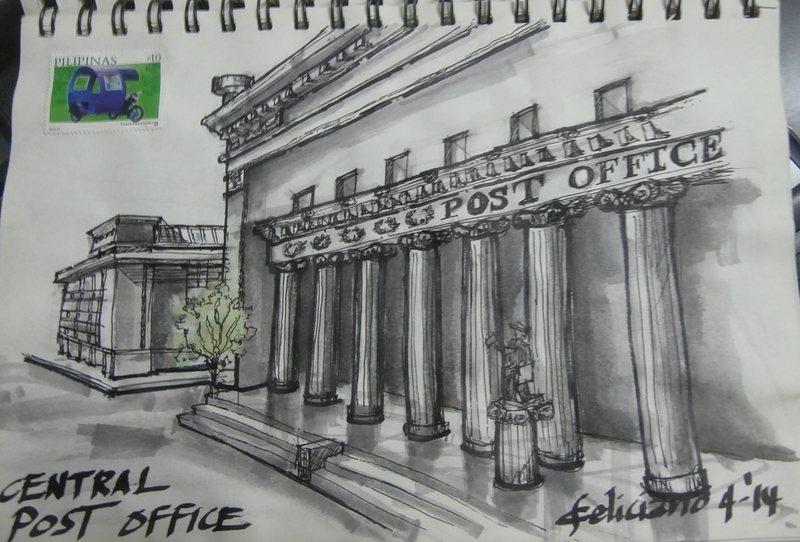 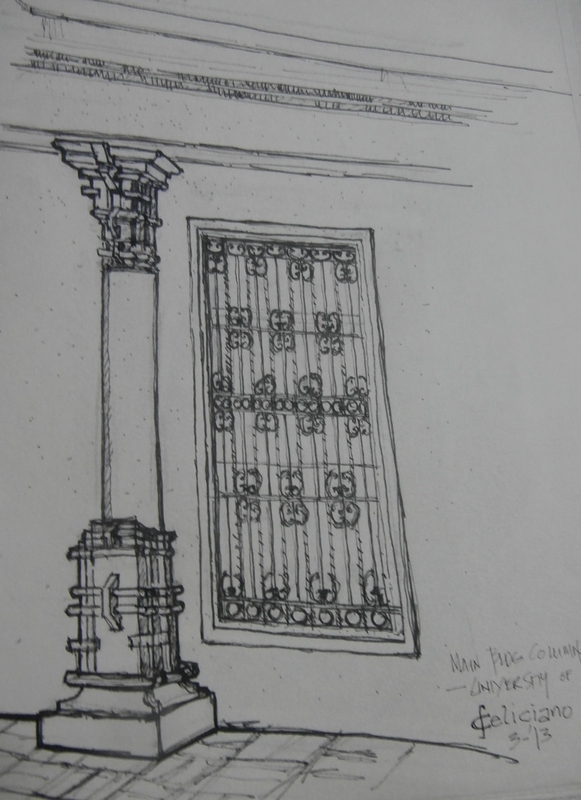 Central Post Office – finale sketch with the USK Spore. 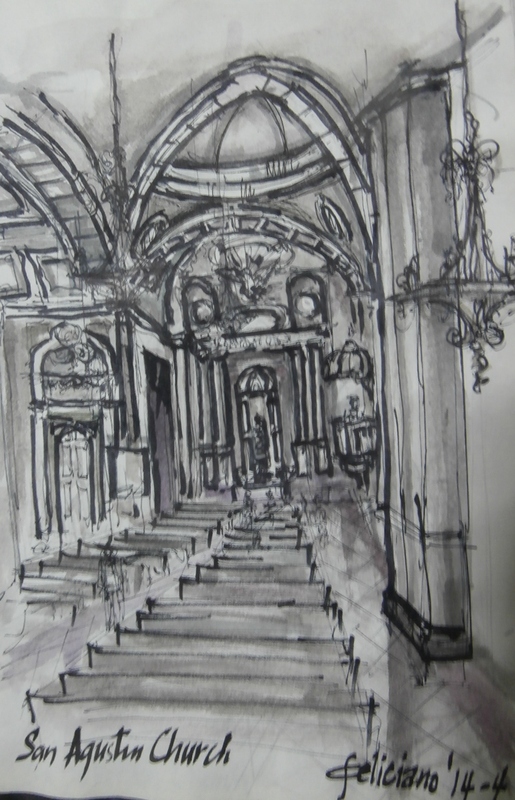 Interior of the San Agustin Church – was surprised to learn that the ceiling and arche details were faux paintings. 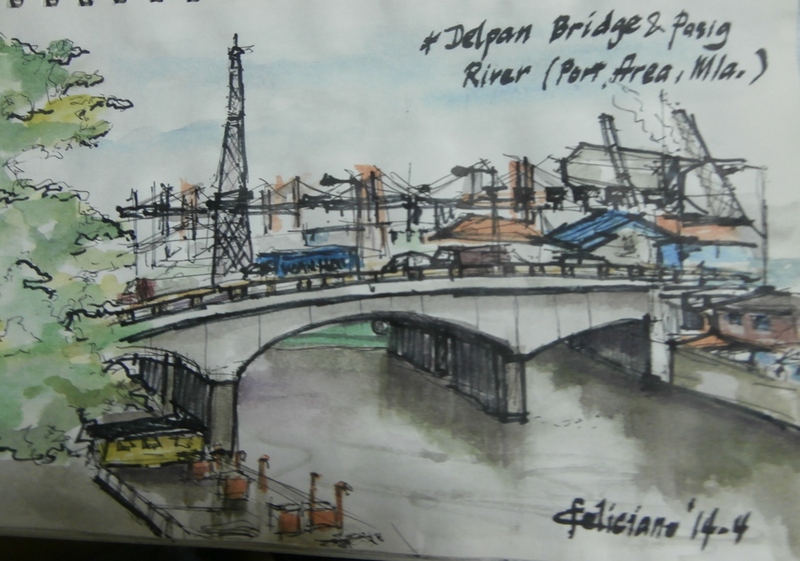 Del Pan bridge and the Pasig River as viewed from the Fort Santiago grounds. 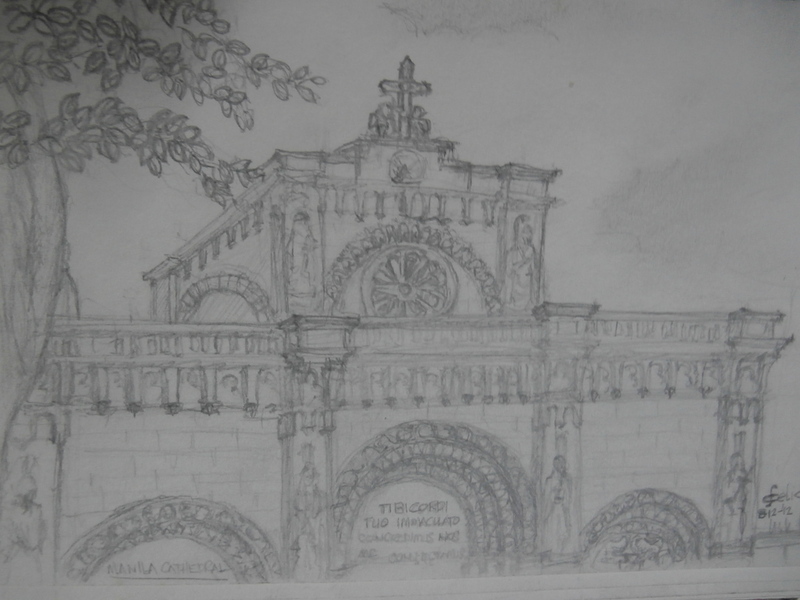 The transept and main dome of the Manila Cathedral. 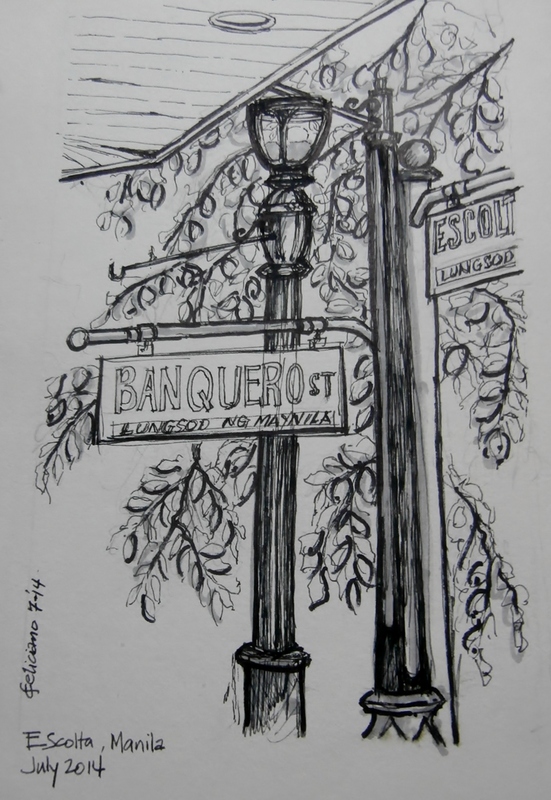 A typical bazaar on Escolta Street. 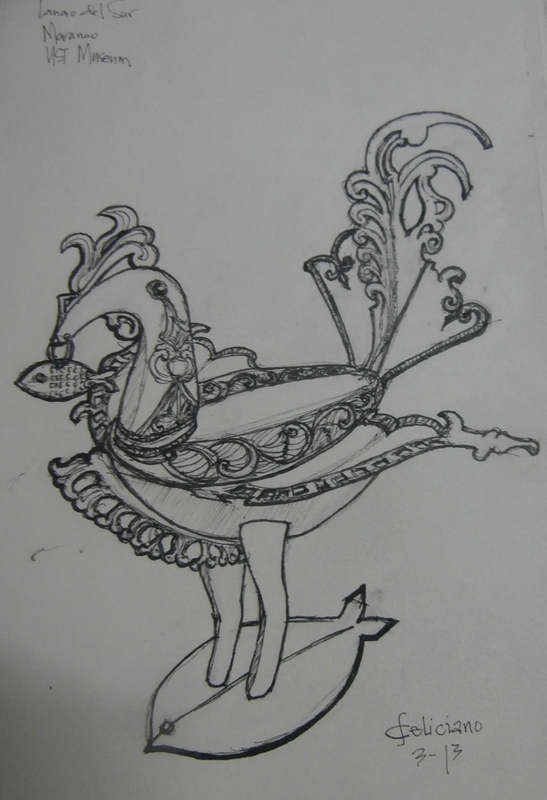 If I am not mistaken, it used to be named, Manly.